The Queen of Velcro is fuzzy and black on one side, and has sharp plastic teeth on the other. Her lovers are kept in a state of suspense, never knowing which side of her to please. But the truth is, she can only achieve satisfaction by pressing each opposing side of herself against the other till they adhere, then attaining release as she pulls herself apart in a long, ripping sigh. 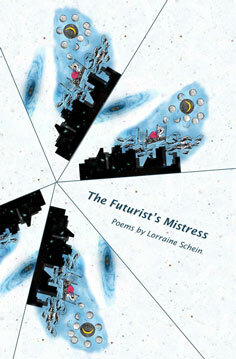 Lorraine Schein is a New York poet and writer whose poems and stories have appeared in numerous science fiction and fantasy anthologies. Her novelette, Raw Brunettes, was published by Wordcraft.